There was thunder in Paradise again for the Mercedes-AMG PETRONAS, with the drivers crashing for the second time in five races, in Austria and Spain, and with head of motorsport Toto Wolff considering team orders. It has been a week of analyzing and sanctions, threats and tension in the most technologically advanced sports on the planet. And yet, the love of racing still stands. Mercedes-AMG PETRONAS is easily leading the championship, but the drivers are leading their own war against each other. 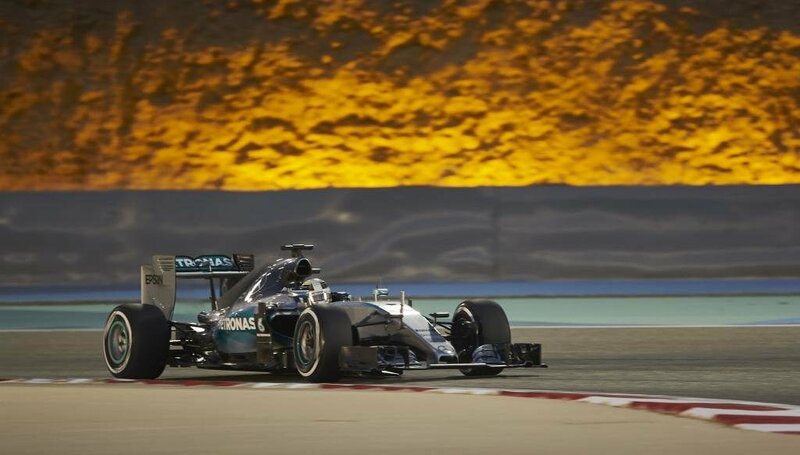 “This is the last warning”, was the threat barked out by the head of motorsport in Mercedes. Still the world’s leading Formula 1 squad is trying to show that they are a team, no matter what. Because on the racetrack, when the green lights are off, nothing else matters any more but the stopwatch. Just three days before the Sunday’s race in Silverstone, a video promoting teamwork was released. A teamwork that is not reduced from a 9 to 5, but to 24/7. “Here is to the dreamers, to the legends, to the family, to the believers and fans, here is to the power to win, the courage to lose. Here is to challenging the status quo, to standing together while conquering new ground and the will to strive for perfection. For the love of racing”, the voiceover says, while drivers fight the rain and the hail, get angry after crashes and celebrate with champagne during what seems to be the most an intense season of the past years. Will there be champagne this weekend in Silverstone or will they crash out of the race again? Stay tuned to find everything about practice, qualifying session and race. The G-Class slam dunk. No special effects!